Most people who are into juicing use a variety of produce to make their juice. Whether it’s a mix of fruits or vegetables or both, it’s always a treat when you get a versatile juicer that produces a good amount of quantity with minimal foam and pulp. 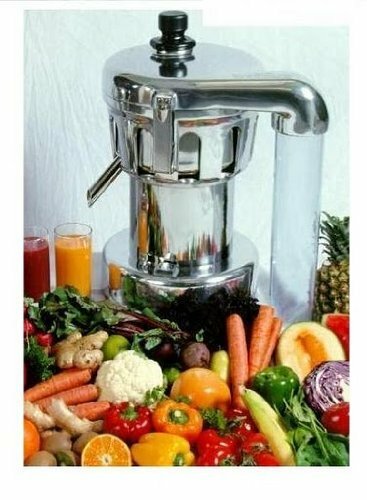 Those who are after these juicing quality will appreciate the Omega J8004 Nutrition Center Commercial Masticating Juicer. It is efficient and easy to use and will make the juice you crave in a few easy steps with much yield. It has an average rating of 4.6 stars from more than 1,300 customer reviews. 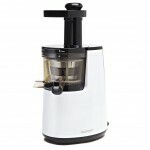 This is indeed one very popular juicer which comes at no surprise at all considering it is produced by the well-loved Omega brand. 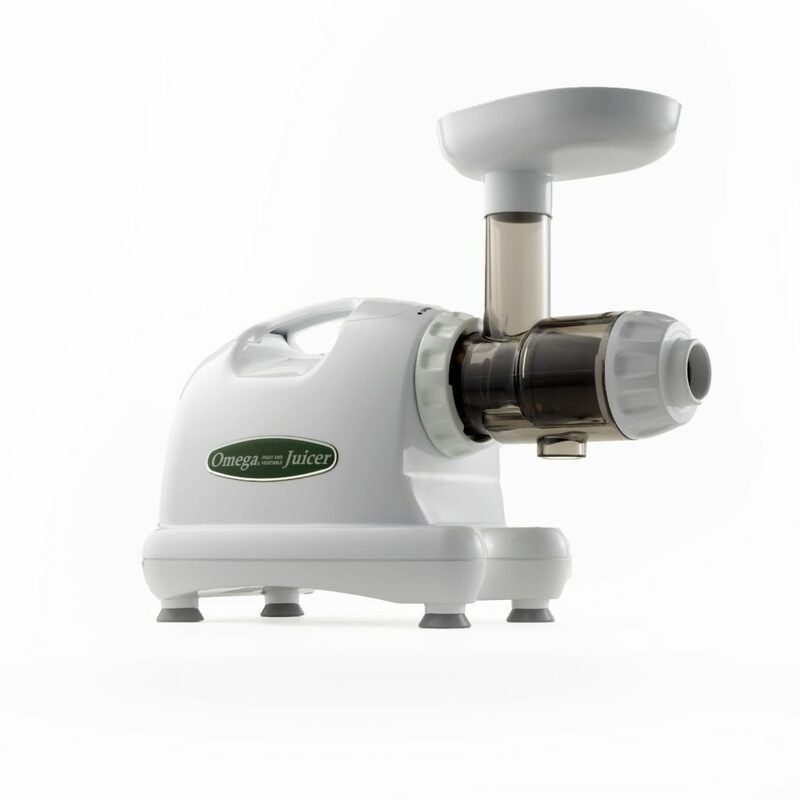 The Omega J8004 Nutrition Center Commercial Masticating Juicer has a powerful single-gear motor used for dual-stage juicing where ingredients are crushed before being squeezed to get maximum yield that leaves you with a dry pulp in the end. It also uses a GE Ultem auger which is eight times stronger than the commonly-used plastic. It operates at the low speed of 80 RPMs that doesn’t allow foaming or heat build-up, which in turn avoid clogging the machine. This juicer also has an auto-pulp ejection feature to make way for continuous operation. Juices produced from the Omega J8004 Nutrition Center Commercial Masticating Juicer can be stored for up to 72 hours without degradation. You can also make nut butters, baby food and milk from this appliance. Not limiting to these functions, this juicer can also be used to grind coffee and spices, mince herbs and garlic as well as to extrude pasta. 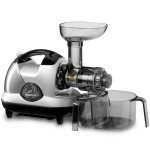 Like many other low speed juicers, the Omega J8004 Nutrition Center Commercial Masticating Juicer yields more juice compared to centrifugal juicers. Moreover, it also retains more nutrients and the natural taste of ingredients. Because of the low foam and dry pulp, users know that they’re getting the most out of their ingredients. It barely makes any noise too. It’s also lightweight and easy to stow away, which makes it ideal for home use. It can be placed and kept anywhere in the kitchen. This juicer has a few limitations though. Some commented that the Omega J8004 Nutrition Center Commercial Masticating Juicer has a very narrow chute, and that you have to manually ‘jam’ the ingredients down. In line with this, some mentioned that they may have to either chop or slice some ingredients for them to fit in the chute, which is not much of a hassle apart from adding to the prep time. If you’re looking for a compact and portable juicer that has the power of commercial-grade juicers, you have to check out the Omega BMJ330 Juicer. This machine is versatile and sturdy and you can get great yield with much nutrients from your juice. It is also very easy to use and you can enjoy great tasting juice with your loved ones as often as you can without any problems. It has an average rating of 3.4 from more than 200 customer reviews. 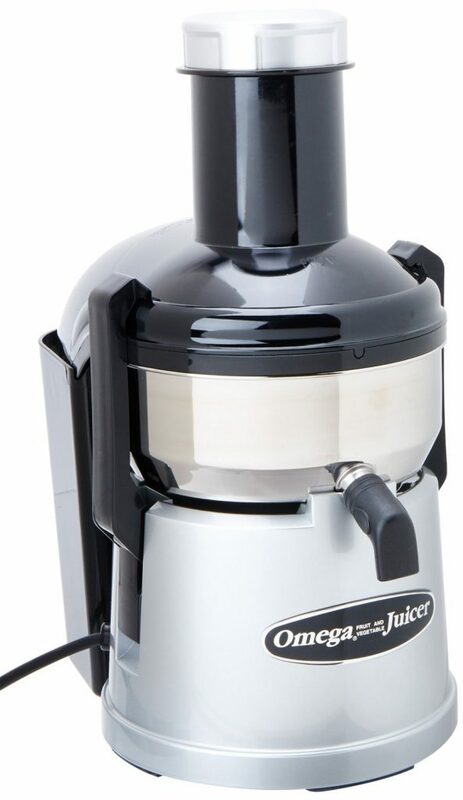 The Omega BMJ330 Juicer is a powerful, 350-watt stainless steel fruit and vegetable juicer. It has a 1.5-horsepower motor that operates at 12,000 RPMs. 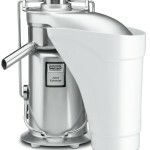 The commercial-grade motor enables juicing to be done in less than half the time it takes for other juicers to yield. It also extracts the most juice. It has a pulp ejection feature which dumps the pulp in a bin at the back of the machine for continuous juicing. It also has a stainless steel blade and basket, which makes it durable and reliable. 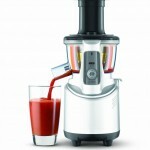 The Omega BMJ330 Juicer dispenses from the spout straight into a glass or a container. Because of its powerful motor, it can yield large portions of juice. It also has a mega mouth feed chute which can handle large portions of produce as well as whole fruits, thus cutting prep time shorter. 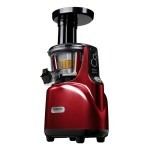 The Omega BMJ330 Juicer is effective and convenient. It makes very little noise, not to mention it is easy to assemble and it is just as easy to clean up. It also juices fast and can handle frequent use even with a great volume of ingredients. Its ability to juice until leaving a very dry pulp is commended by most users who felt that they got the most out of their ingredients. Users also love that it produces great tasting juices that are packed with nutrients from their ingredients. However, some reviewers addressed that they sometimes heard, smelled, or detected rattling, burning, and leaking from their Omega BMJ330 Juicer. However, it wasn’t something to be worried about because it happened occasionally and there is no damage done to the machine. Also, there are some users who found it hard to put the juicer back together after clean-up, though this is rebutted by other reviewers. Some also said that the plastic sides seemed fragile.